Last year, Audi unveiled its second-generation Q5 SUV, the follow up to Audi’s most successful SUV model. 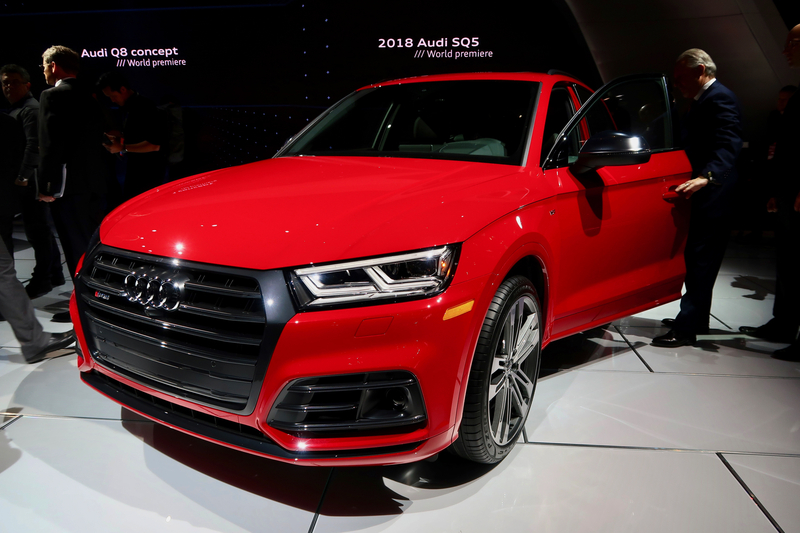 While not on sale yet, the second-gen Audi Q5 is causing quite a stir, as it boasts better looks, better technology and a promise of better dynamics. 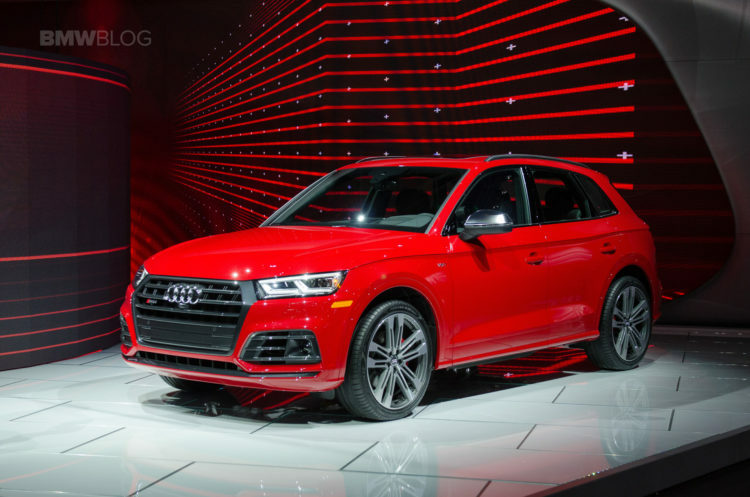 So, naturally, we’re very excited to see Audi launch the 2018 Audi SQ5 at the 2017 NAIAS Detroit Auto Show. 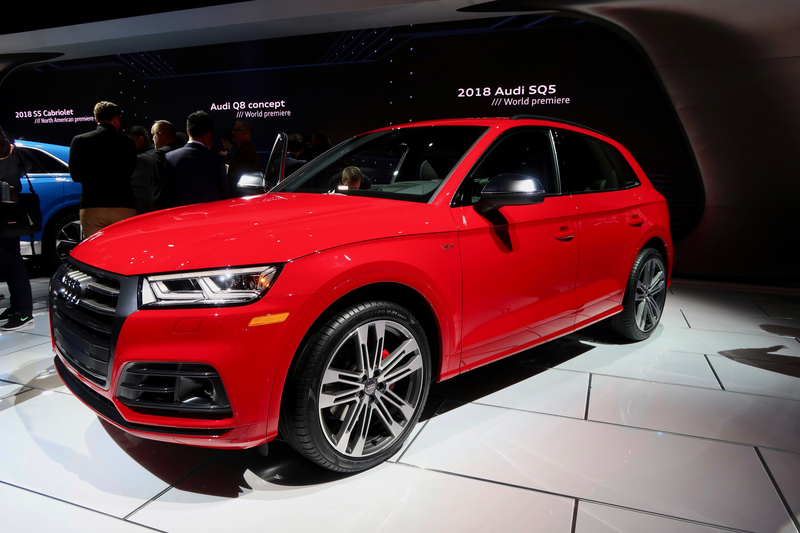 Based on the second-gen Audi Q5, the SQ5 will be built on the new MLB platform and will be lighter, stiffer and stronger than before, while boasting better interior space and luxury. 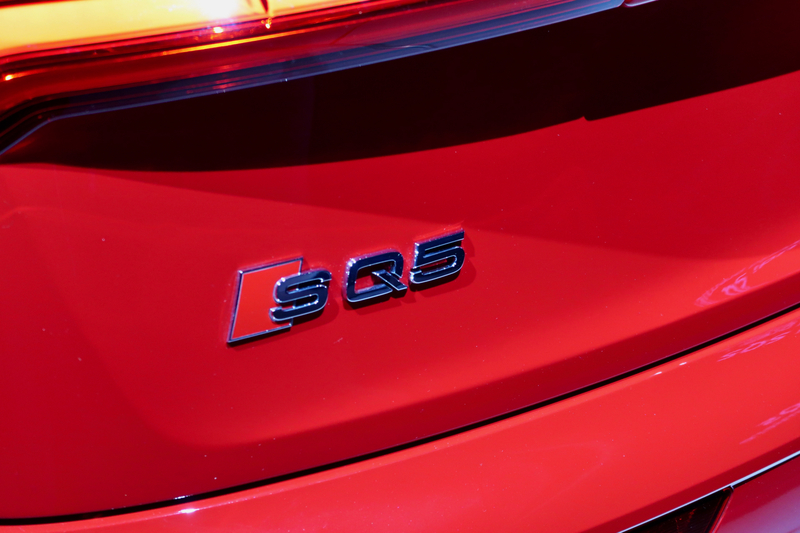 But the big news for the SQ5 is its engine and performance. 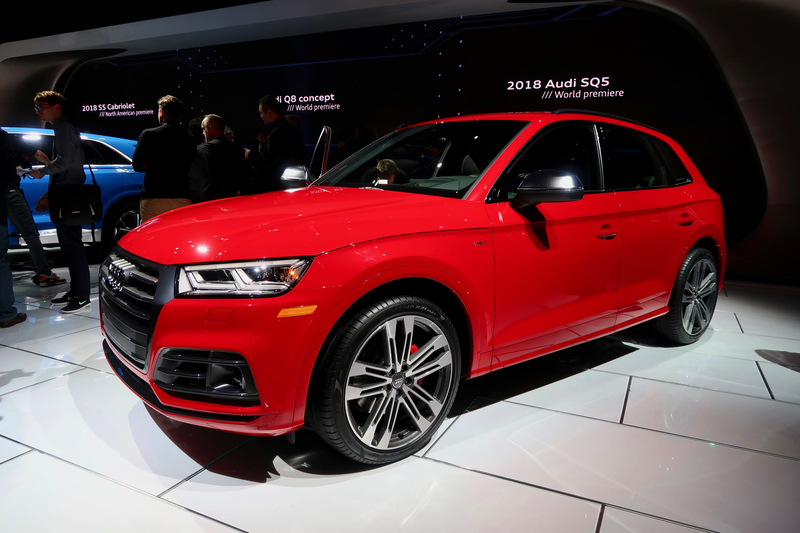 Packing a new 3.0 liter turbocharged V6 engine, the same one as in the Audi S4, the Audi SQ5 will develop 354 hp and 368 lb-ft of torque. 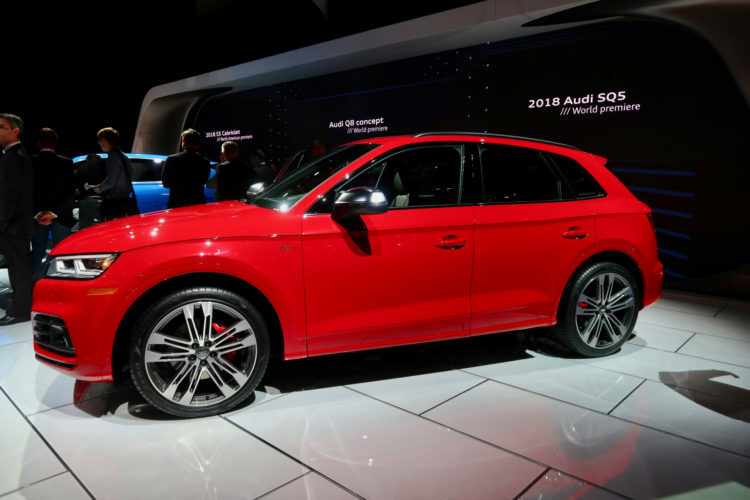 The latter torque figure comes in at an incredibly low 1,370 rpm, which will allow the SQ5 to get from 0-60 mph in 5.4 seconds. 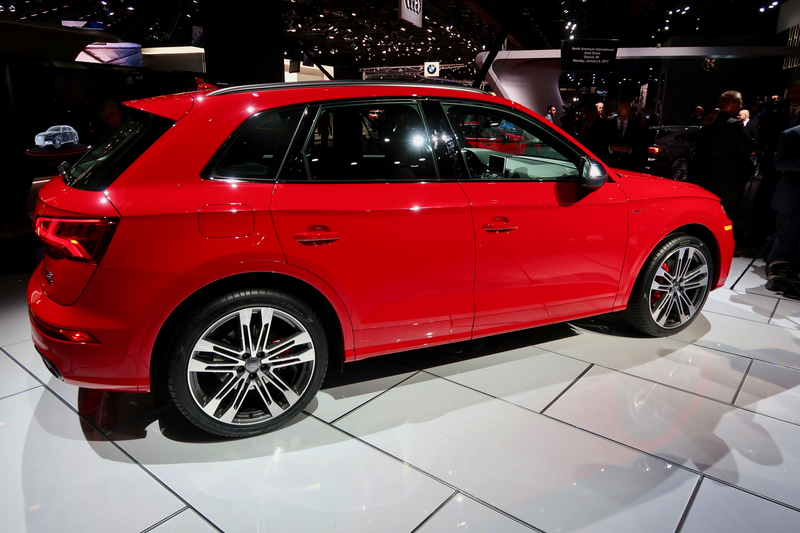 Top speed of the SQ5 will be electronically-limited to 155 mph, which isn’t too shabby for an SUV. 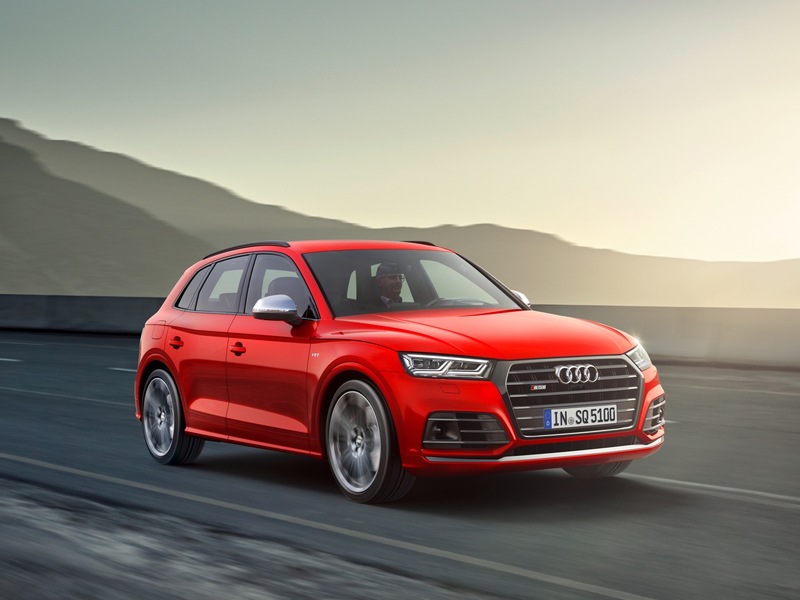 To help improve throttle response and reduce turbo-lag, Audi has fitted the SQ5’s 3.0 liter V6 with a twin-scroll turbocharger. Exhaust branches of both cylinder banks merge before the turbine and feed the turbocharger, thus improving airflow and increasing turbo response. The turbocharger is also located inside the “V” of the cylinder bank of the 90-degree V6. The exhaust manifold is located on the inner side of the cylinder banks, with the intake located on the outer side, which enables a more compact construction as well as shorter distance for air to flow, creating minimal flow losses and increased response. 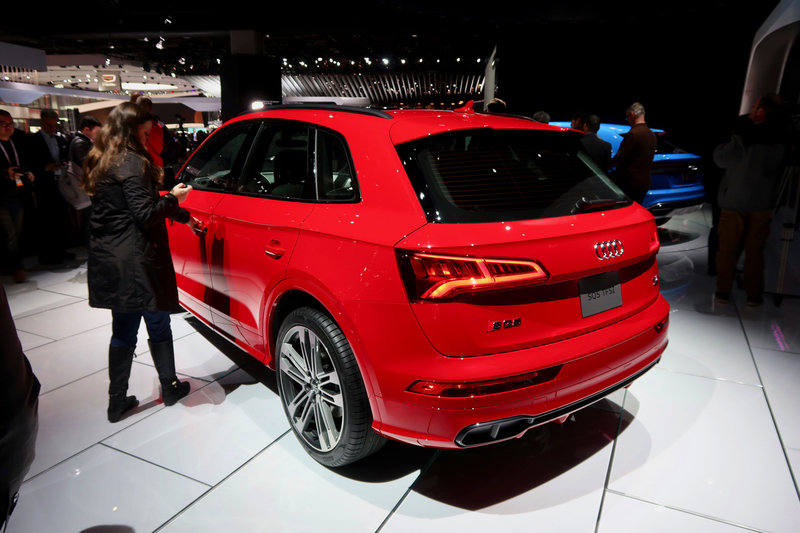 Audi has also worked hard on improving cooling efficiency. Both the crankcase and cylinder head have separate cooling circuits. So on a cold start, the switchable water pump controls the flow of coolant so that the engine oil warms up to operating temp as quickly as possible. 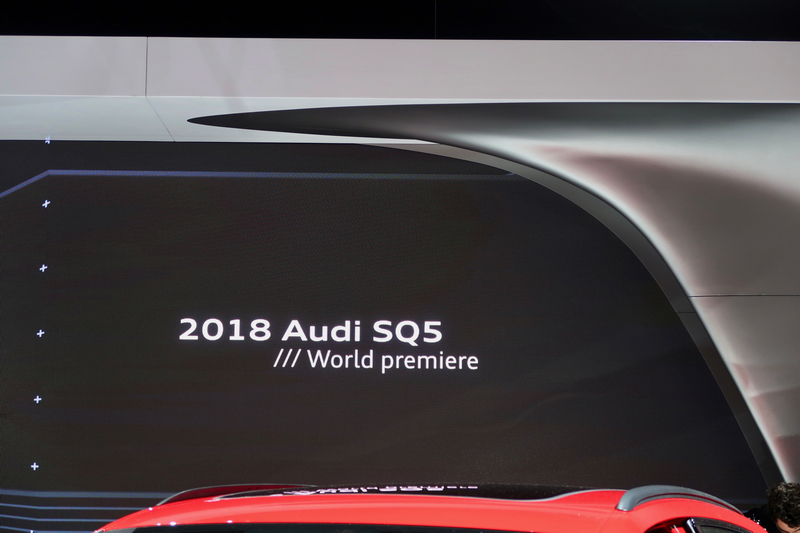 Audi has also fitted this gray cast iron cylinder liners with new aluminum pistons and piston rings to reduce friction, which will create improved response, efficiency and cooling. 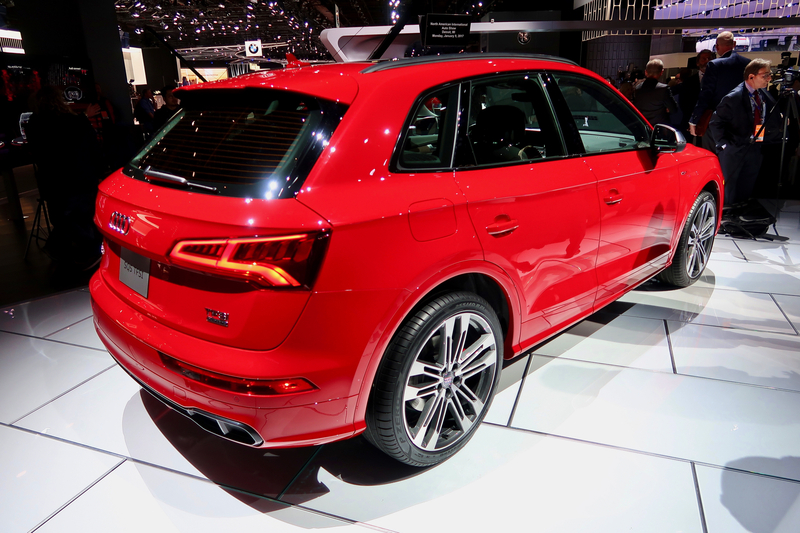 This new engine is also 30 lbs lighter than the outgoing supercharged V6 of the first-gen Audi SQ5. This high-tech engine will be mated to an eight-speed automatic gearbox that will drive all four wheels, via Quattro all-wheel drive. The eight-speed auto, supplied by ZF, is designed to be both sportier and more efficient. Lower gears have been made shorter for optimal performance, while higher gears have been made taller for better fuel economy. The gearbox will also free-wheel from the engine when the driver lifts off the throttle at speeds between 34.2 and 99.4 mph (55 – 160 km/h). 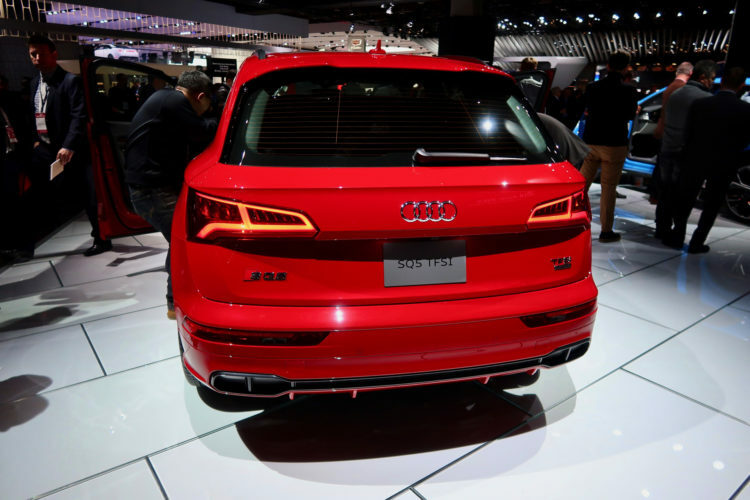 In the SQ5, Audi’s famous Quattro all-wheel drive system is developed with a slight rear-axle bias under normal driving conditions. This is to give the car a more dynamic feel, allowing to to rotate around corners more naturally. However, it can send most of its power to the axle with the most tractions, if conditions permit. It’s constantly sensing the road, using a myriad of sensors, to insure that grip is always optimal. 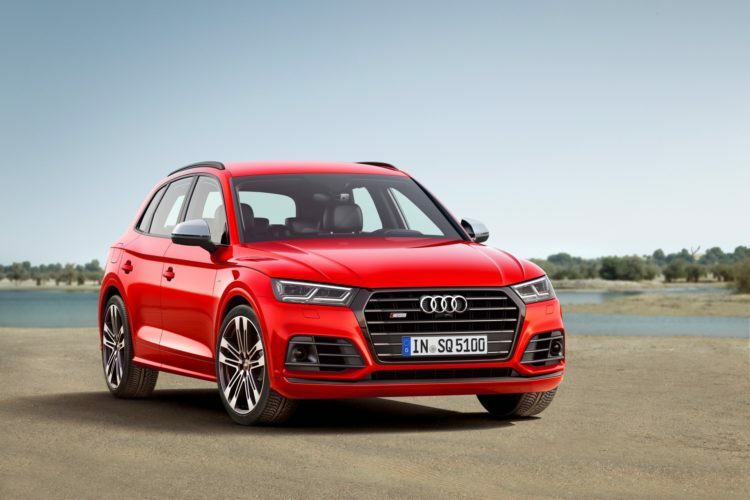 The SQ5 will also slightly brake the inside wheels during hard cornering so as to further help tuck the nose in and rotate the car, which might quell the understeer fast Audis are known for. 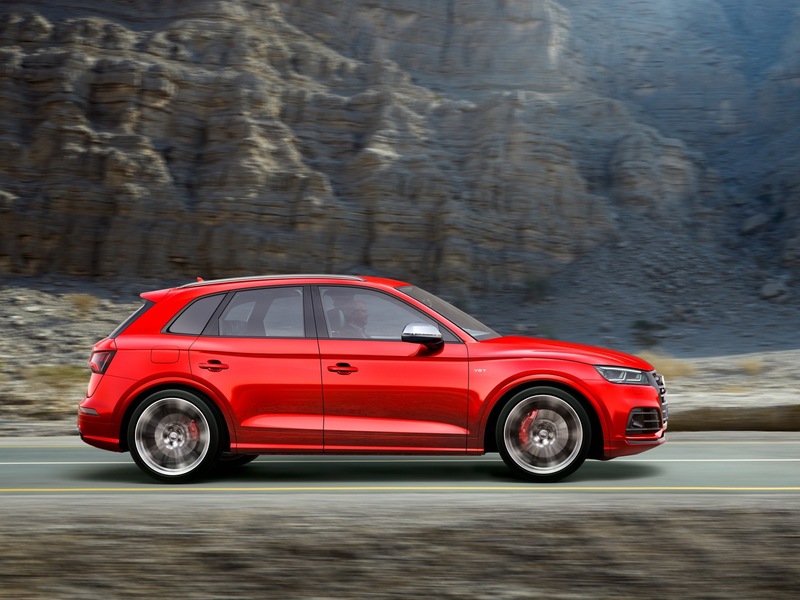 To even further quell understeer, customers will be able to purchase an optional sports rear differential for the SQ5, which can distribute power to each of the rear wheels differently. 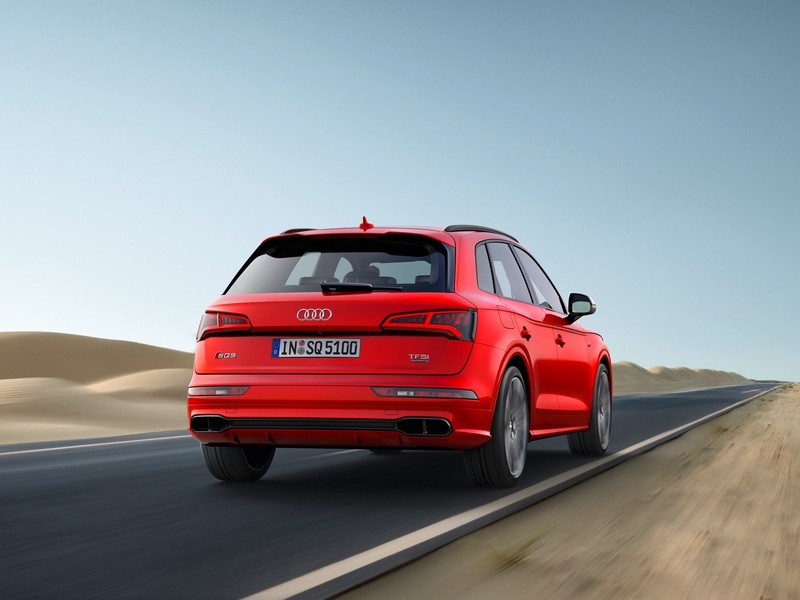 In hard corners, the sports diff will send more power to the outside rear wheel which, in combination with braking of the inside wheels, should nicely push the rear end of the SQ5 around corners. Its computer management is built into Audi’s Drive Select system, so it becomes more aggressive in Dynamic Mode and more relaxed in Comfort. This seems like a must buy for all SQ5 owners. The Audi SQ5 will also come with the typical suite of advanced driver assist features, the same available on the standard Q5. So Adaptive Cruise Control, with traffic jam assist, is available, as is Audi Active Lane Assist and Cross Traffic Assist Rear. 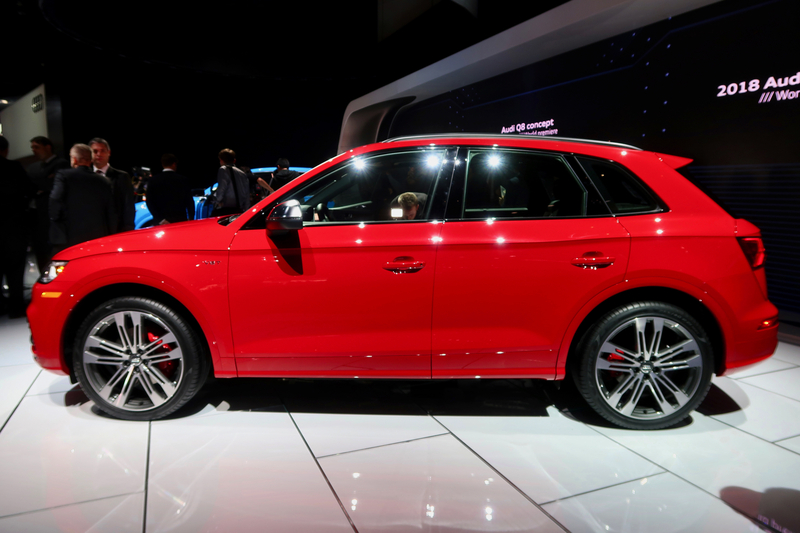 Audi’s latest iteration of the MMI infotainment system will be as-standard in the SQ5 as will be the Virtual Cockpit. 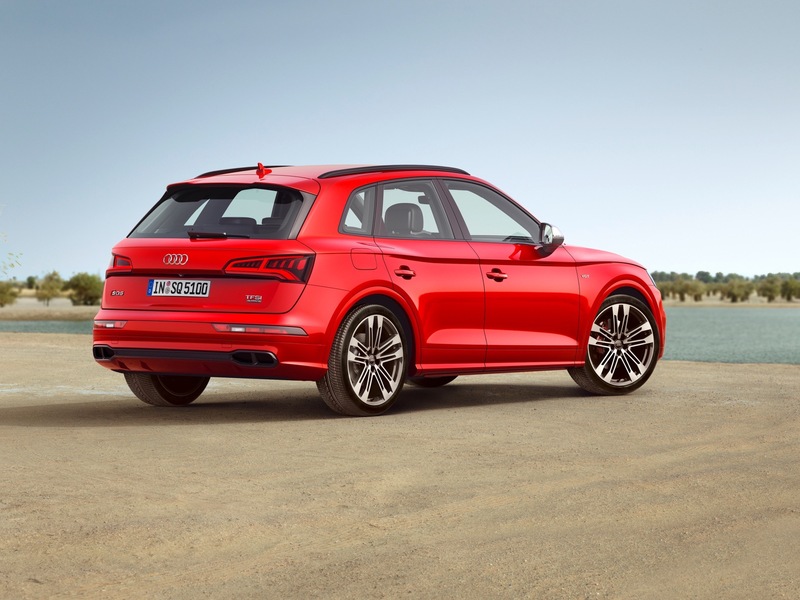 So the SQ5 will get all of Audi’s bells and whistles, making it the ultimate Audi Q5 SUV.